To any person who mistakenly believes plants don’t contain protein, or that vegans can’t obtain protein, or that vegetarians can’t get enough protein, simply show them this picture. 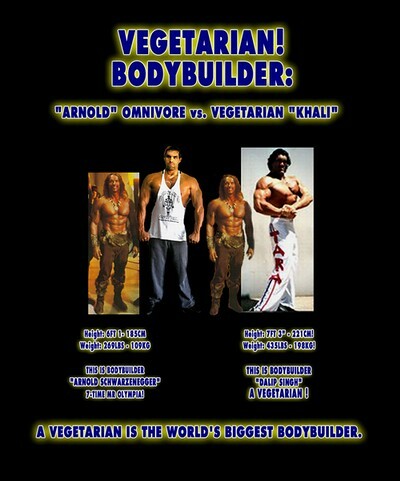 This is 7 foot 3 inch tall 435 pound Vegetarian Dalip Singh. Not only do vegetarians obtain better protein than steak and meat eaters, he is the largest bodybuilder on the face of the Earth, and he is Vegetarian. Yes, that’s right. A vegetarian bodybuilder has beat Arnold Schwarzenegger, Ronnie Coleman, Jay Cutler, Lee Haney, Dorian Yates, Flex Wheeler, and all the rest of those in the Mr. Olympia. 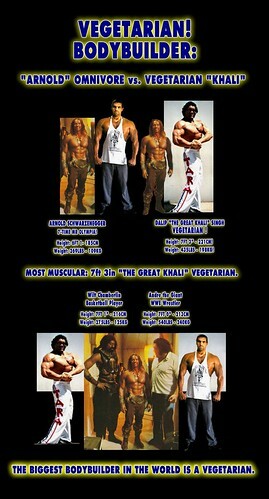 Don’t get this wrong, Dalip is great friends with other bodybuilders, including Dorian Yates 7 time Mister Olympia. Dorian Yates and Dalip are friends, and there are photos here of the two where Dorian is absolutely dwarfed by the vegetarian and Dorian is saying "I look like a little child next to him!". It’s all in fun. Dorian also works with other Vegetarian bodybuilders and he knows the muscle building advantages of being vegetarian. Another example is Dorian actually sponsors Sheru Harmeet Aangrish, he is the #1 IFBB biggest PRO vegetarian bodybuilder in the world. Sheru Harmit Aangrish is from India, and he took the National Bodybuilding Title in the UK. He won Mr. Britain, Jr, Mr Universe, Mr. Asia, and more. The reason that a vegetarian diet is far better for building muscle, and why vegetarians get so big is because Steak has FEMALE hormones in it. Yes, if you eat meat, you’re eating Estrogen. This is the hormone that makes girls feminine. If you eat steak, prime rib, tbones, tenderloins, etc, each bit can be soaked with ladies’ menstrual fluids. Vegetarians do not have this problem. This is why Vegetarian men were tested and found to have Higher Testosterone than Omnivores and Meat eaters. Didn’t know this? Don’t believe it? Well, go see for yourself. Type "SYNOVEX-S CATTLE ESTRADIOL" into google. What you will see are livestock feed stores selling feminine hormone pellets to cow farmers. The cattle farmers have been putting these into your steak. Don’t get mad at vegetarians or vegans. They didn’t do it. Get mad at the meat farmers. For they have been dousing your man’s parts with effeminizing chemicals without telling you, for years. The ones selling you that steaks and meat are delicious are the ones who soaked it with hormones. They do this to get you to pay more. They puff up the cow, and make it weigh more. They get paid by the weight, and You paid for it. So it’s the Meat Industry and Cattle farmers who not only duped you into paying more money, getting rich off of you, but also didn’t tell you steak is soaked with old ladies’ pad fluids, and got you to believe meat was manly. Oh, and they also seeded the internet with the Soy is Evil hoax, made up by and traced to an individual named Sally Fallon Morell and Mary G. Enig of a front group for the Livestock Industry named WAPF, the Weston A. Price Foundation. Upon testing, tests revealed that soy doesn’t contain estrogen at all. None! And cabbage has none either, that is also a hoax. In fact NO plant contains women’s estrogen at all, even if you see someone try to print that. 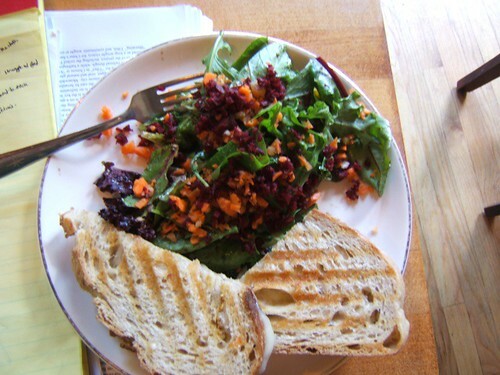 What plants contain is PHYTOestrogen, that’s not the same. In fact, the Phyto-estrogen blocks the real mammalian female estrogen. So Soy not only doesn’t feminize you, soy actually stops female estrogen from binding to the receptor sites. Think of it like this, say you have a car full of criminals, and a car with a friend in it, and a parking spot. If the friend parks his car in the spot, now the car full of criminals cant get in there and rob your house. The cars may look the same, may both be gray, same model, but they aren’t the same. Soy phytoestrogen, the plant kind, is actually the bodybuilders friend, stopping the real estrogen from getting into the receptor site parking spot. And now you know. Soy myth is false. It was made to look like a scientific article but it is scientifically fallacious. Hope you weren’t duped. 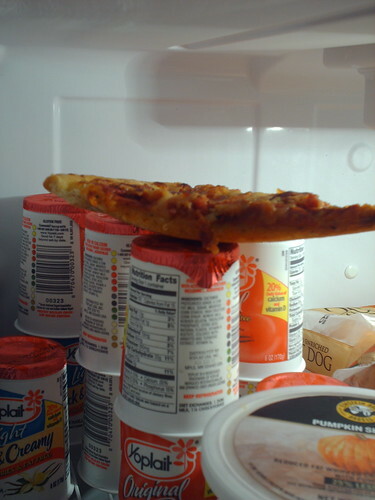 Pizza and yogurt, there’s a balanced diet. 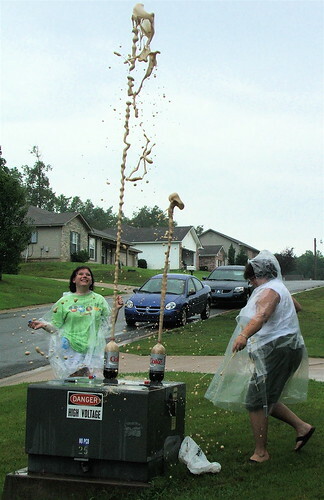 Jenni and Staci tried to make dueling Mentos/Diet Coke fountains. Jenni won.